Situated on the corner of Barbauld and Harcombe Road, Aikin Court is a small but impressive development offering three, four-bedroom family town-houses with rear gardens and south facing roof terraces. The remaining two homes are available at guide prices of £1,100,000 and viewings can be arranged by appointment with Hackney Sales. 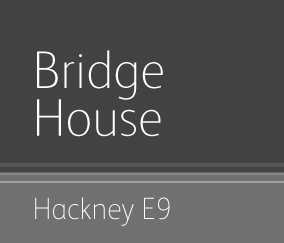 Bridge House will offer homes for both shared ownership and outright sale, comprising one, two and three-bedroom apartments. Our offer at Colville will be homes for shared ownership comprising one, two and three-bedroom apartments. Phased handover estimated for 2019 - 2021. St. Leonard's Court will comprise one and two-bedroom apartments for shared ownership. At Frampton Park we will see homes built for shared ownership comprising two and three-bedroom apartments. Lyttelton House includes homes for both shared ownership and outright sale providing a selection of one, two and three-bedroom apartments. Making use of underused land, apartments will be developed for shared ownership and outright sale. Tower Court will be home to shared ownership apartments comprising a mix of one, two and three-bedrooms. Our largest shared ownership offer so far, at Nightingale there will be homes for both shared ownership and outright sale. Marian Court is close second for the volume of shared ownership homes, and we will also be offering homes for outright sale to support the shared ownership option. The next phase of Kings Crescent will offer further homes for shared ownership comprising one, two and three-bedroom apartments.